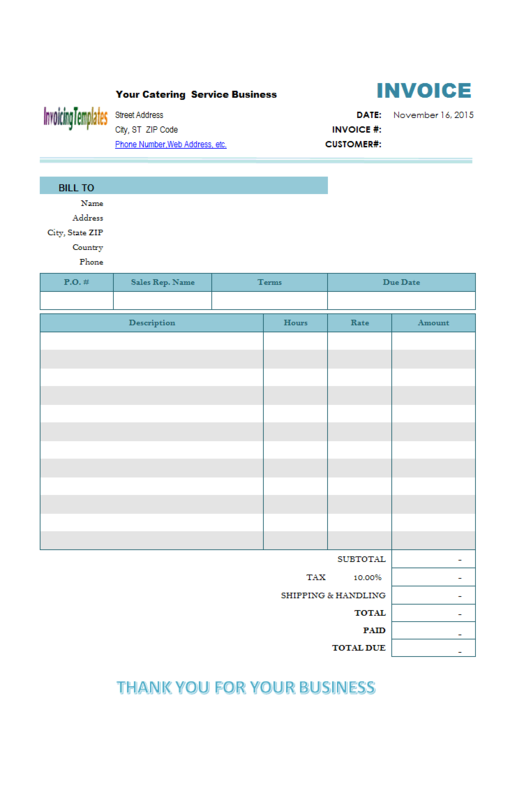 This free bill of sale template for vehicle provides an Excel form that enables you to details the Make, Year, VIN#, Odometer Reading, Model or Series, Color, Style and Title#, as well as the information about the buyer and seller. Sharing Is Caring! We do appreciate your efforts to let others know us! 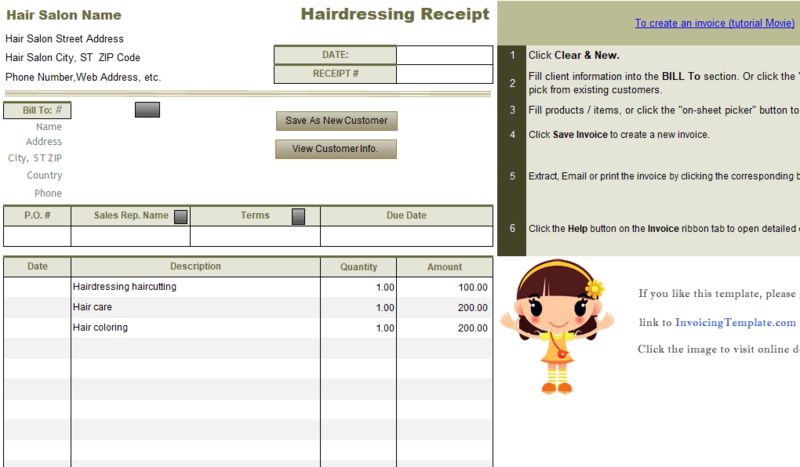 c1006 now includes the customized invoice template for the latest version of Invoice Manager for Excel. 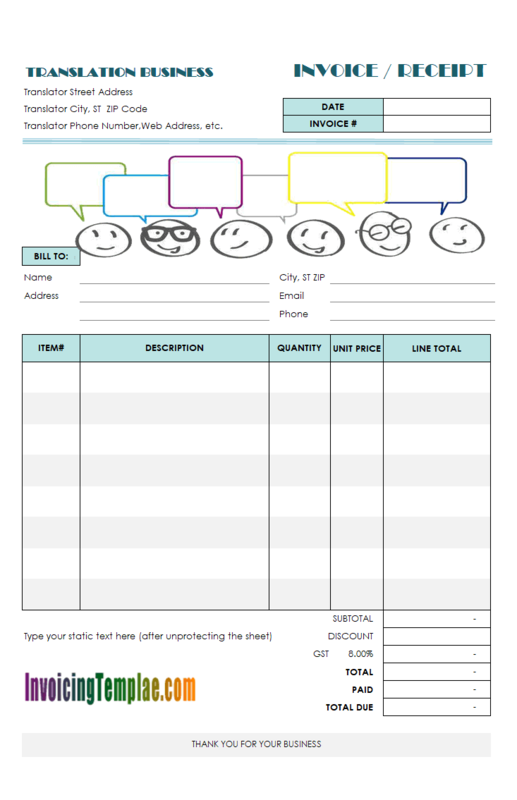 This is what you will see when you open billofsaletemplate.xlsx. You are safe to download the resources. We've added our digital signatures to the files. Download this if you want this design to be set as the default template by the installer program. 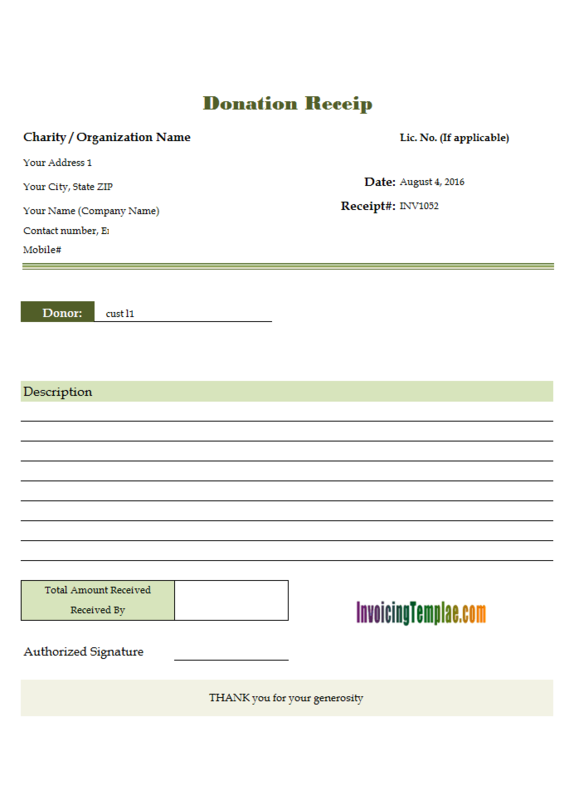 Download this if you have already installed IMFE, but are looking for additional customized templates. 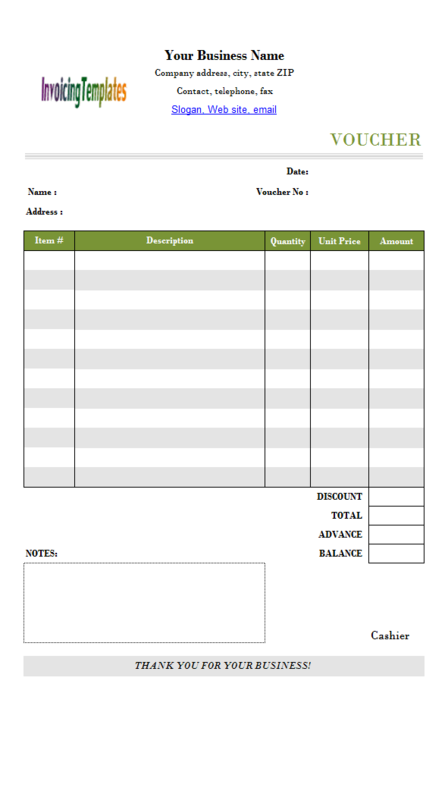 The form layout of this template mimics the Motor vehicle bill of sale for Microsoft Word (feel free to see our topic on Word invoice templates). 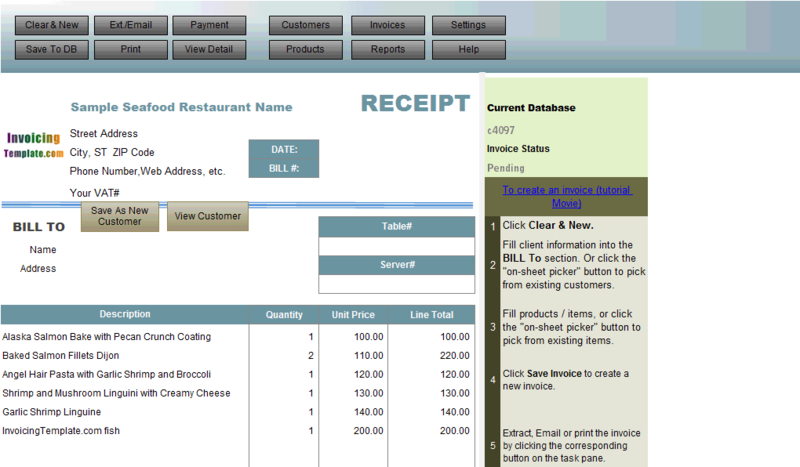 Our template in Microsoft Excel has exactly the same layout design, but it was transplanted to Excel spreadsheet format. 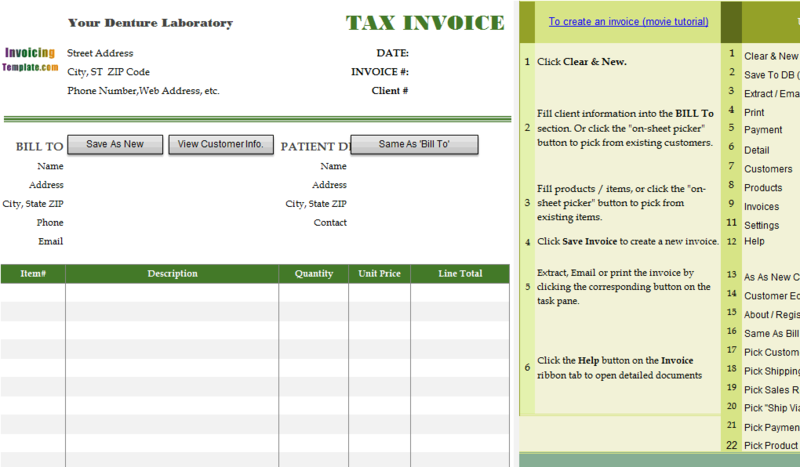 Like other templates here on InvoicingTemplate.com, all fillable fields are properly named, to make sure this template works with Invoice Manager for Excel (namely Uniform Invoice Software). 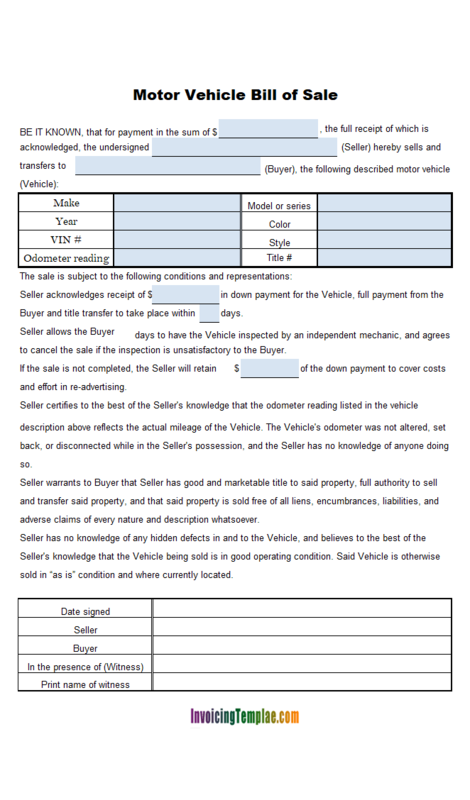 A bill of sale is used not only when transferring vehicle ownership. 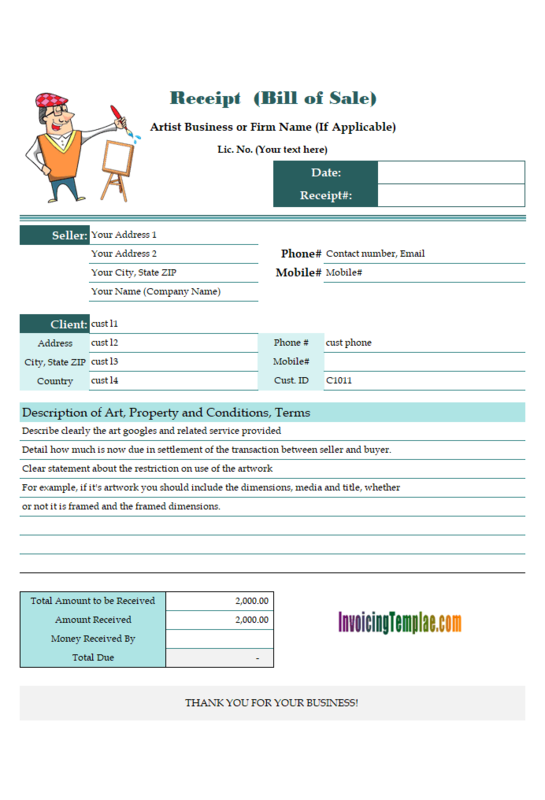 Whenever a property is sold, you can use a bill of sale. 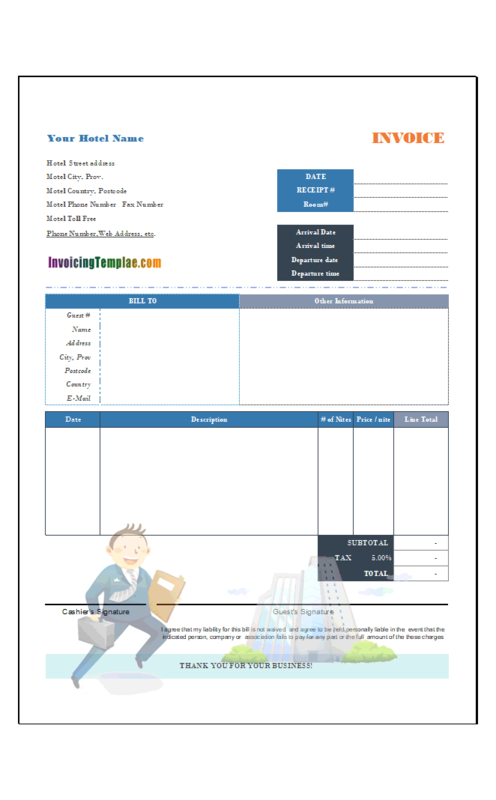 For example, The LegalContracts.com web site offers a wizard that allows you create a bill of sale for motor vehicle, trailer, boat / watercraft, animal and other properties. Note that each state has its own requirements for a bill of sale, so the second step on the Legal Contracts web site is to choose where the property is located. 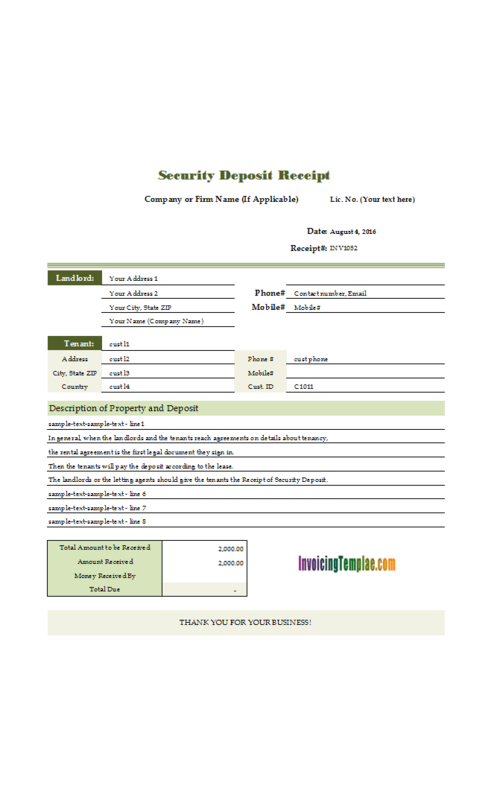 According to RocketLawyer.com, "A bill of sale is a type of receipt used to transfer the ownership of an item. 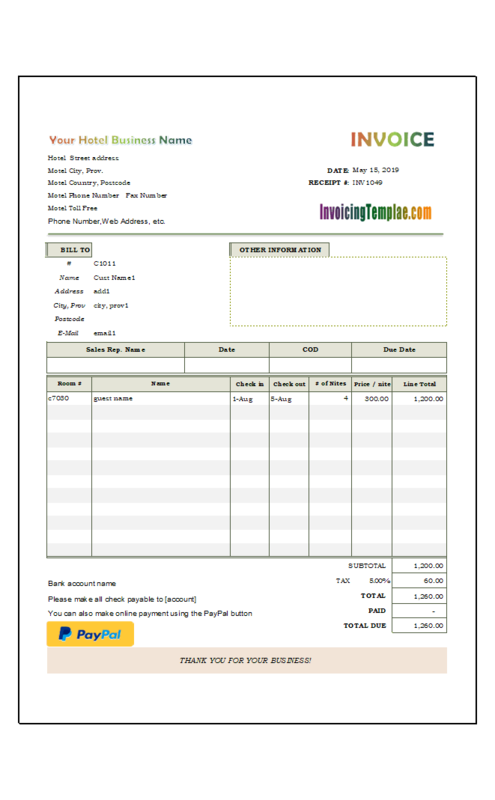 It typically includes important information about the purchase such as the names of the buyer and seller, contact information, item description, item price, payment methods and warranty details. As a seller or purchaser, you can use a bill of sale for a used car, or for any other personal property such as a laptop or bike." 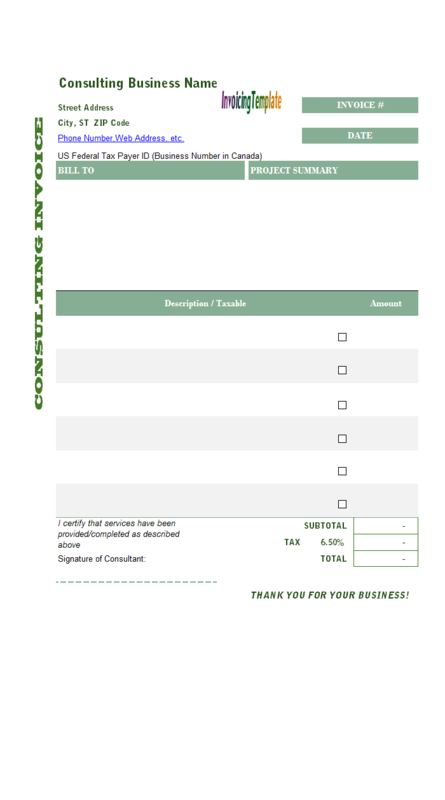 If you are selling a vehicle privately, the eforms.com web site could help you too. You can choose forms by state (Alabama, Alaska, Arizona ...) or by type (Motor Vehicle, Aircraft / Airplane, ATV, Bicycle, Boat, Business ...). 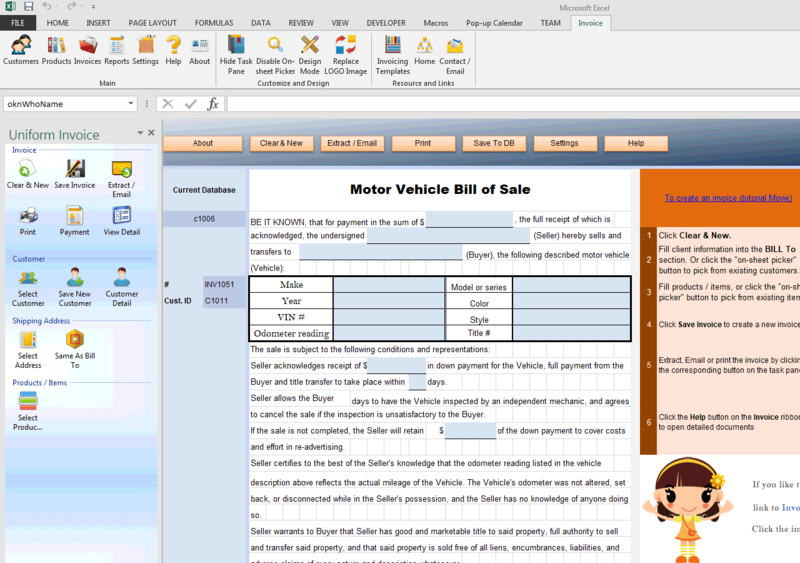 For selling motor vehicle, they provides suggestions from the beginning (negotiate the terms) to the final registration. Not every state requires you to complete a bill of sale when finalizing a vehicle transaction. However, no state prohibits you from completing a bill of sale either. Visit Bill of Sale Form on dmv.org for more information on this topic. 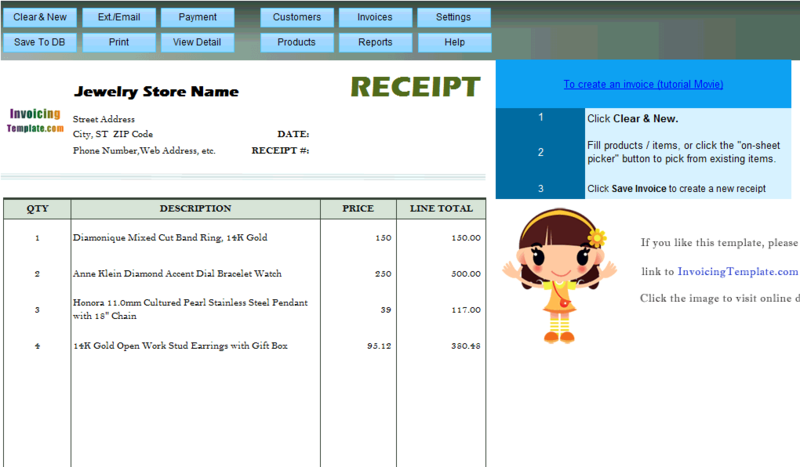 On our form design, the fields on the bottom table, such as "Date signed", "Seller", "Buyer", "In the presence of (Witness)" and "Print name of witness", are not named fields for Invoice Manager for Excel (namely Uniform Invoice Software). They are designed for handwriting only. 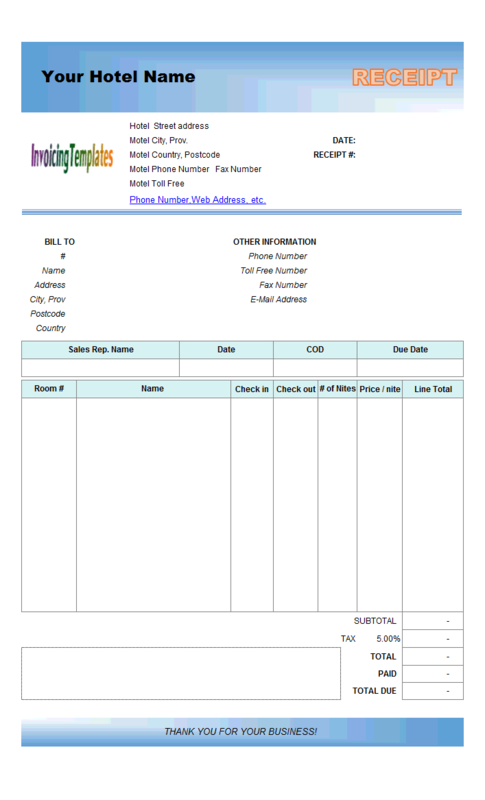 Like other form designs here on InvoicingTemplate.com, Bill of Sale Form is free (offered to you at a price of 0.00USD). It works on Windows XP and all newer versions of Windows, and Excel 2007, 2010, 2013 or 2016.